YouTube user videosdebarraquito shows off the trick, which involves setting a very small image as your Home screen wallpaper. You have two options for doing this once you’ve downloaded a sufficiently small image (the ones in this method are 3 pixels by 3 pixels): Either go to the picture in your Photos app, click the Share icon, and select “Use as Wallpaper,” or go to Settings > Wallpaper > Choose a New Wallpaper > Camera Roll and select the tiny image there. If you don’t have any 3×3 images lying around in your collection, you can head over to this post by heyeased and grab some of the ready-made ones there. 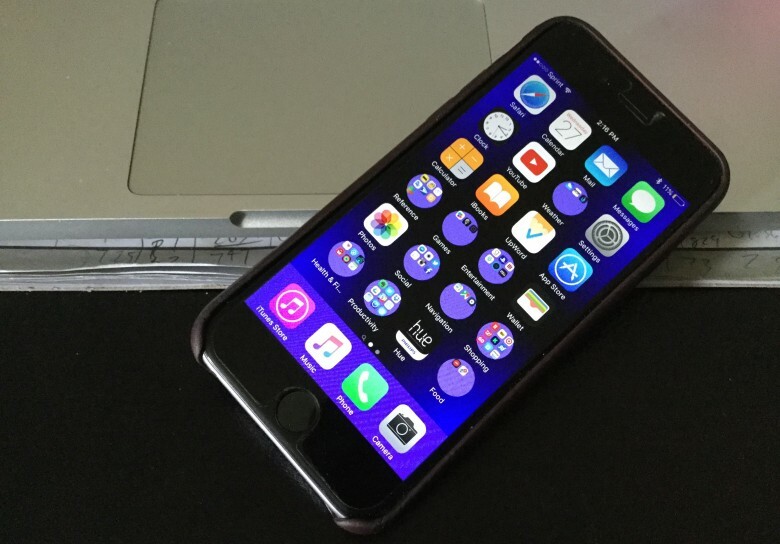 That page says the round-folder trick should work on any iOS device capable of running iOS 9.3; we tried it on an iPhone 6s and an iPad Air 2, and it worked on both. We also found out that you can resize any image to make this work if you don’t like the colors on offer there. So, how does it work? We have no idea. But it doesn’t change the shape of all of your folders. And, if you do it on an iPad, some will be round or square depending on the orientation of the tablet. We tried a few of these and couldn’t find one that would modify all of them all of the time, but people who are super-enamored with the idea of round iOS folders won’t mind trying all the combinations they can. It really does look cool, even if we don’t understand why it’s happening. If you’re an iOS developer who can fill us in, please let us know in the comments.